Here's a whole new kind of BLT! 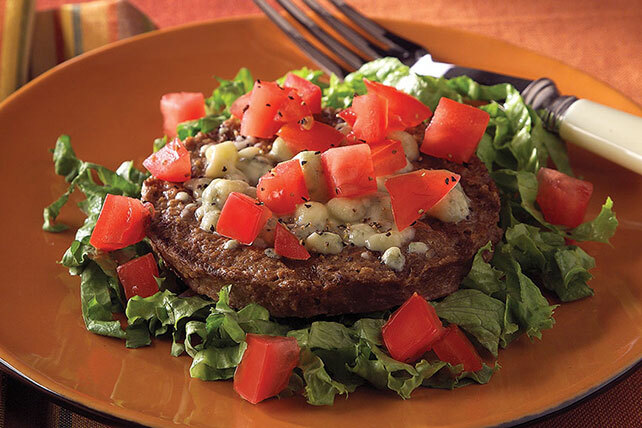 Blue cheese, lettuce and tomatoes give this BOCA Blue Cheese Burger a delicious Mediterranean-style appeal. Cook burger in skillet as directed on package, topping with cheese and covering skillet for the last minute. Top with burger, tomatoes and pepper. Prepare using a frozen BOCA Meatless All American Flame Grilled Burger. For a change of pace, substitute ATHENOS Traditional Crumbled Feta Cheese for the blue cheese.